The Bunburyist: Clues 36.2: Atkinson, Conan Doyle, Chandler, Hammett, Macdonald, and a noir graphic novel. Clues 36.2: Atkinson, Conan Doyle, Chandler, Hammett, Macdonald, and a noir graphic novel. Vol. 36, no. 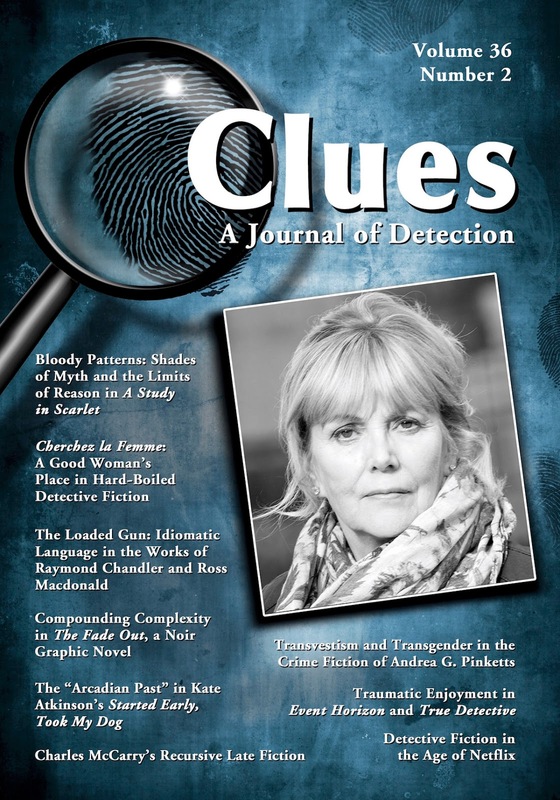 2 (2018), of Clues: A Journal of Detection has been published. Contact McFarland to order the issue or a subscription. For e-versions: visit the Kindle link, the Nook link, or the Google Play link). To keep up to date on Clues, subscribe to the new RSS feed for the Clues tables of contents, or visit the Clues website. There is currently a call for papers on interwar mysteries (submission deadline: October 12, 2018). This article focuses on the figure of the transvestite and the treatment of transgender in the novels of Italian crime writer Andrea G. Pinketts. The aim is to determine whether Pinketts’s highly entertaining, parodic hard-boiled series succeeds in subverting a traditional discourse on transvestism and transgender in Italian crime fiction. This essay explores how the fictional female detective of Dorothy L. Sayers works outside normative gender conventions of the interwar years. By positing a female character who can become a detective, Sayers allows both Harriet Vane and Peter Wimsey to break and redefine social expectations of masculine behaviors, feminine behaviors, and gender stereotypes. Hard-boiled detective fiction often limits women to the roles of femme fatale or love interest of the detective. However, Effie Perine (Dashiell Hammett’s The Maltese Falcon) and Anne Riordan (Raymond Chandler’s Farewell, My Lovely) embody the femme fiable (“dependable woman”), a survivor who goes where the detective cannot and avoids the fate of the femme fatale. This essay explores the idiomatic writing styles of Raymond Chandler and Kenneth Millar (aka Ross Macdonald), discussing the importance of vernacular speech for establishing the credibility of the private eye and constructing a community of readers. Arthur Conan Doyle’s A Study in Scarlet (1887), which introduces Sherlock Holmes, is a famously disjointed narrative yet provides a compelling detective story. One strategy employed to create a sense of cohesion is to adapt structures and themes from romance and, in particular, myth. Conan Doyle’s work here appears to prefigure characteristics of high modernist texts. In the Jackson Brodie crime novel Started Early, Took My Dog, Kate Atkinson contrasts acts of intervention to achieve justice with nostalgia for the past as a lost Arcadia, making ironic use of motifs and narrative structures from classical romance to subvert certain conventions of traditional crime fiction. Among the 14 works of Charles McCarry are the strikingly recursive novels The Shanghai Factor (2013) and The Mulberry Bush (2015). Although neither of these novels is postmodern in terms of narrative technique, their epistemic aporias involving both state-sponsored campaigns of secrecy and the literary reconstructions that profess to unmask them reflect postmodern skepticism. This essay offers a Lacanian perspective on contemporary horror, science fiction, and detective fiction in film and television. Two examples of hybrid works, Paul W. S. Anderson’s Event Horizon (1997) and the HBO series True Detective (2014), are analyzed in detail. The theories of Robin Wood and Margaret Tarratt are expanded within a Lacanian framework to advance a new understanding of the interrelatedness of the three genres. The classical pattern of detective fiction condenses extended narratives and extends condensed ones. Today’s serialized television shows, including Broadchurch, that are made for a binge-watching age intensifies this dynamic. 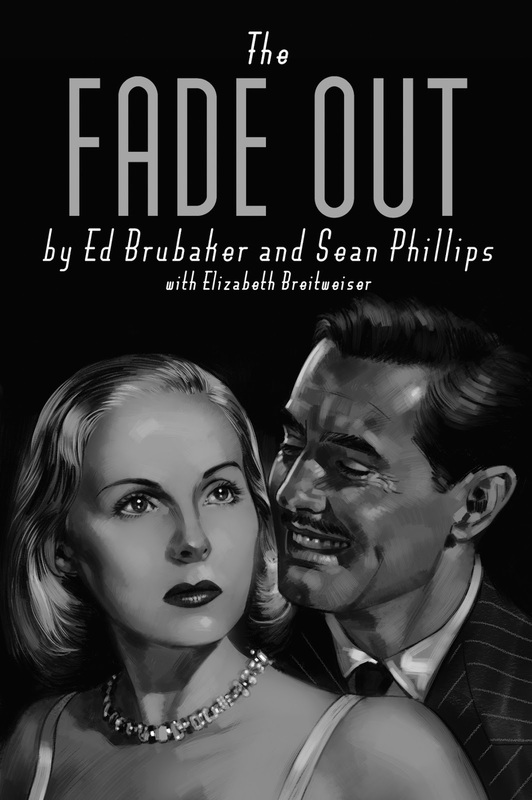 This essay examines how the narrative structure of noir detective fiction and the medium structure of the graphic novel work together to challenge the reader in The Fade Out, a graphic novel series composed by Ed Brubaker and Sean Phillips (with colors by Elizabeth Breitweiser). David Schmid, ed. Violence in American Popular Culture.